So, today I woke up to these beautiful images by Christine Cornwell Photography of some of our newest Jr. 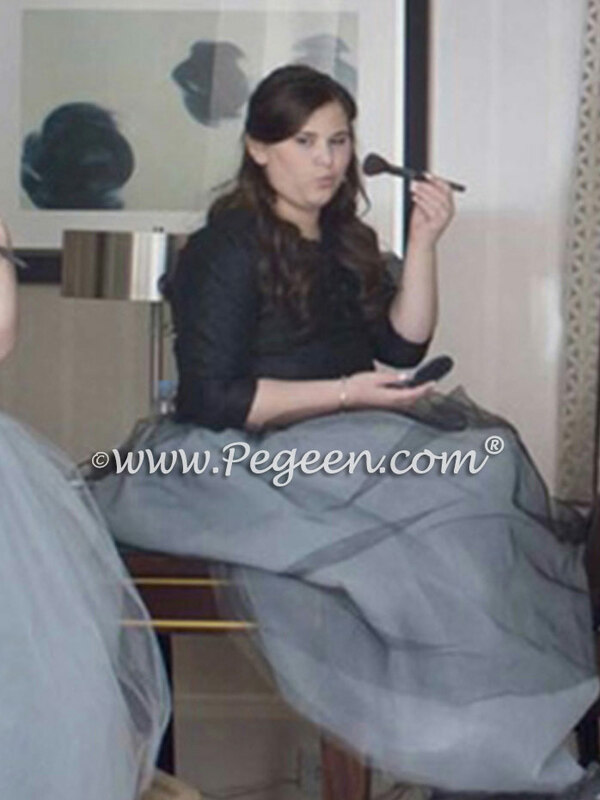 Bridesmaids, Quinceanera Dresses and Bat Mitzvah Dresses from the Pegeen Tween Collection. This style is 934 and is available with almost any color of sequins you could possible think of!! Naturally, you can choose any color of tulle as well and the glitter tulle is either silver or gold on a white or ivory background. Congratulations to our winner for the Wedding of the Month of July. Their wedding was a beautiful theme of pewter and wood rose pink. 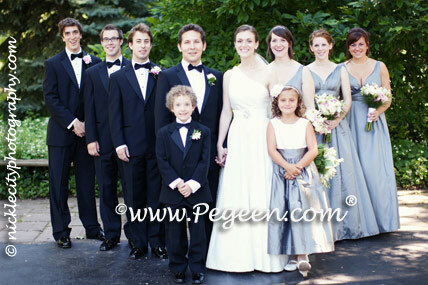 We think Lily looked beautiful in her pewter gray and woodrose pink silk flower girl dress, Pegeen style 383. 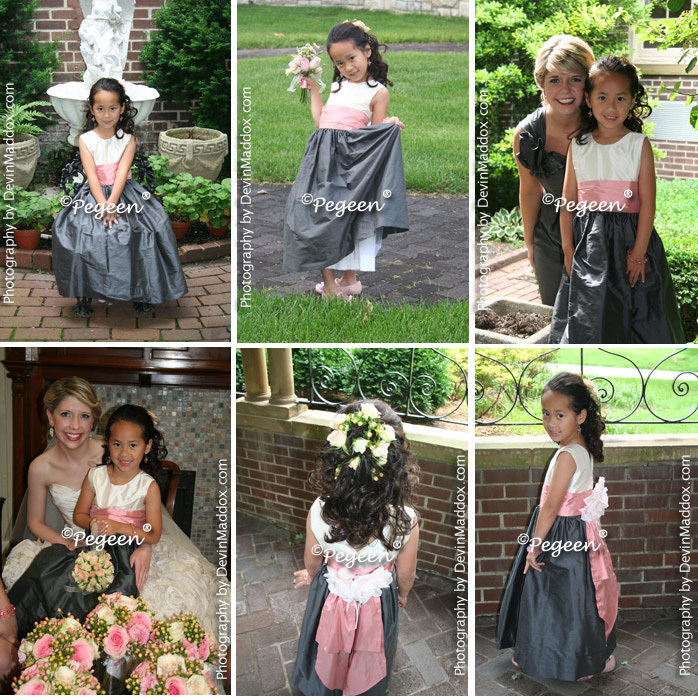 Once a bride or mom has purchased their flower girl dresses or ring bearer suits from Pegeen.com they are free to send in their photographs of their children dressed in Pegeen’s fashions. 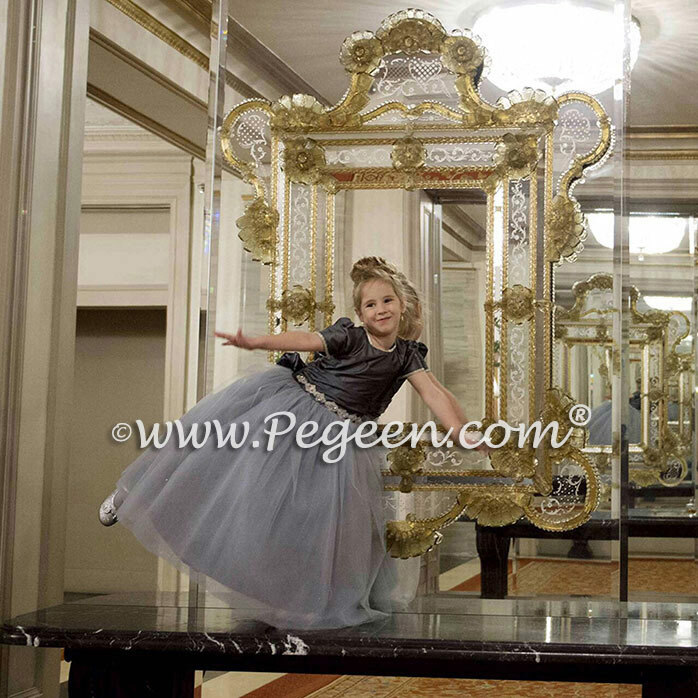 Pegeen only chooses their models from customers who send in photographs of their children who have purchased dresses from the company. Customer’s photos are highlighted throughout our website in our Real Weddings Gallery as well as other places around the site. If all the elements are right, these photographs may be chosen to be used in some of our advertising. More about our April Wedding of the Month…..
What I loved most about our wedding this month was the beautiful textures and the wedding site. Set at the St. John’s Grace Episcopal Church, Buffalo, NY and beautifully photographed by nickelcitystudios.com. I admit, I am a sucker for beautiful wood work and the lovely church setting was equally complimented by the reception site held at the Williams-Butler House, Buffalo. It reminded me so much of that wonderful show I used to watch on A&E, America’s Castles and I was so impressed at the history of these two buildings. Makes me want to visit Buffalo, which now that it’s Spring and not subject to the snow, I am more likely to brave.